Prince of Persia premiered this weekend nationwide, already carrying the weight of expectations that go far beyond the film itself. Word on the street is that Disney hopes Prince of Persia will blow audiences away, making it the next money-maker ala the Pirates of the Caribbean franchise. And while Prince of Persia is a fun film and certainly acted much better than the Pirate films (Mr. Depp’s part excluded), it’s hard to believe that it will ever parallel the Pirates in success. It’s not that it isn’t entertaining. It is in fact highly entertaining. Its set designs and visual effects are stunning. Yes, it’s a Disneyfied depiction of what Persia might have looked like at different times blended into one time period that is thus impossible to decipher (and god only knows what the point of the jumbled religious terms used in the movie were), but it is richly vivid in detail and the score blends seamlessly throughout, driving the action and making you feel as if you are part of it. Action movie audiences don’t typically care about things such as characterization or the uncomfortable and often patronizing appearance of forced dialogue. 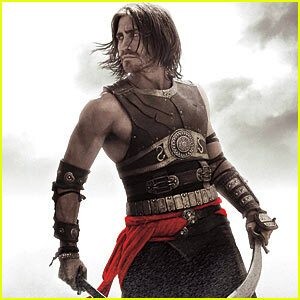 Prince of Persia delivers what the typical movie-goer wants in a summer action film with just enough twist of fantasy and adventure to make it a sure favorite with audiences this summer. It’s not a movie that will get you thinking, but it will entertain you for roughly two hours in good clean fun. That said, there is one thing about Prince of Persia that makes it noteworthy, and that is the emergence of Jake Gyllenhaal as a bonafide fantasy/action hero. Gyllenhaal shines as the ragamuffin turned prince who is called to start out on a hero’s journey after the tragic murder of a loved one. There is nothing awkward about Gyllenhaal’s transformation into a kohl-eyed, sword-wielding, muscled champion fighting alongside the inhumanly beautiful Gemma Arterton. If these two had kids they wouldn’t need to worry about a stupid time-altering dagger full of creepy magic sand. They could rule through good-looks alone. And the great thing about Jake’s version of the action-hero is that there is something essentially real in Price Dasten that makes you actually care what happens to him. I guess this is what happens when men who can actually ACT take on roles as action-heros. Perhaps Prince of Persia will herald in a new era in which action films are more than mere action. One in which the characters aren’t just muscular guys with a stash of punchy, yet stupid one-liners on deck ready to hand out after each explosion. While this probably will not be the case (and that’s a good thing since I’d rather the great actors stick to the great scripts) it’s nice to dream now and then. And it’s nice to see a guy like Gyllenhaal show enough range to break our hearts as a love-sick cowboy longing in vain after the only man he’s ever loved, and then to entertain us as a stalwart Persian prince battling forces of inhumane evil to save the girl and the kingdom. On that mission, we saw Tyra go undercover as an obese woman, a homeless woman and a man. We watched her interview some of the decades biggest stars including Janet Jackson and Beyonce. But what were Tyra’s favorite shows? So what does the supermodel turned mogul see in her crystal ball? Well, she won’t be sitting still for long. Her production company, Bankable Enterprises, has plans to branch out into film production. She also has signed on to publish a series of novels, which you can find out more about here on Celebstalk (check our archives for Storytime With Tyra Banks), not to mention continuing the very popular America’s Next Top Model which is set to feature a new partnership with Italian Vogue. Though we bid this show farewell, we will be seeing plenty more of this daytime diva…and you can take that to the bank! 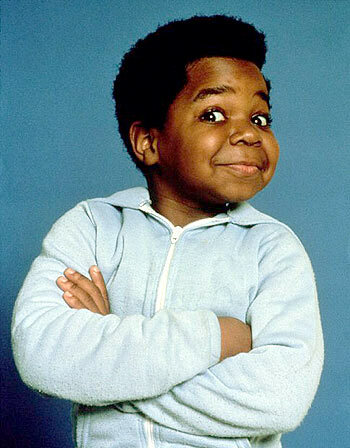 Diff’rent Strokes star Gary Coleman passed away Friday after being hospitalized for a fall near his home in Utah Wednesday. It seems when the actor fell, he hit his head and suffered an intercranial hemmorage. He was just 42. Utah Valley Regional Medical Center spokeswoman Janet Frank says that life support was terminated and that Coleman died at around 12:05 am. Gary rose to fame in the 1980’s when he played the role of Arnold on the popular sitcom Diff’rent Strokes alongside Todd Bridges and Dana Plato. His signature line (“What you talkin’ ’bout Willis”) and his adorable face made him an icon, however his bright start was overshadowed by legal issues, disputes and health problems. Gary Coleman leaves behind his wife, Shannon Price, along with many family members, friends, fans and his legacy. He will be missed. With seemingly no explanation and no warning, Mariah Carey pulled out of Tyler Perry’s newest film, For Colored Girls Who Have Considered Suicide When The Rainbow Is Enuf. Production was set to begin on the film next month and is based on the 1975 Ntozake Shange play and will star Whoopi Goldberg, Anika Noni Rose, Janet Jackson, Phylicia Rashad, Kerry Washington, Loretta Divine, Jurnee Smollett and Isaiah Mustafa. This recent news has fueled the already constant rumors that Mariah and husband Nick Cannon are expecting a baby, however they have not commented on the rumors. Despite recent speculation that she may be with child, Gwen Stefani’s reps told E! News that this was not true. In the past week or so, paparazzi have been going nuts trying to get as many shots of the No Doubt star wearing her unusually baggy clothing and holding bags in front of her midsection, which looks the same as it always has. Although we have no idea if Gwen and husband Gavin Rossdale have any intentions of extending their family of four (they are the proud parents of sons Kingston, who will be four this week and Zuma, 21 months old), we can tell you that there ain’t any buns in this oven today! California cutie Cameron Diaz, who portrayed the role of Natalie, alongside Lucy Liu and Drew Barrymore, in the popular “Charlie’s Angels” films has passed on returning for a third installment of the movie adaptation of the famous 1970’s television series. Looks Like Many "Pleasant Tomorrow’s" for Comedian Tina Fey! Saturday Night Live and 30 Rock star Tina Fey is set to receive the prestigious Mark Twain Prize for American Humor, a huge accomplishment in the comedy world, according to The Kennedy Center. Fey will be the third woman in 13 years to receive this honor, following in the footsteps of comedic greats Lily Tomlin and Whoopi Goldberg. Now that’s some serious girl power! Tina, who has been awarded six Emmy’s and two Golden Globes for her show 30 Rock (which she writes, produces and stars in) spent 9 years on SNL bringing us the best of the Weekend Update and her now famous inpersonations of Republican vice-presidential wanna be Sarah Palin. That’s why we love her! Simon Monjack, Brittany Murphy’s 39 year old husband, was found dead by his mother in law late Sunday evening in the home that they shared with Brittany. According to Los Angeles Chief Coroner Ed Winter, it looks like he may have suffered a heart attack. “He was discovered by Brittany’s mom as being unresponsive” in the Hollywood Hills home at around 9:40 pm on Sunday, says Winter. Brittany Murphy’s mother, Sharon, contacted paramedics, who pronounced him dead. No signs of foul play or injury to Monjack’s body were reported and although prescriptions were found in the home, overdose is not suspected. An autopsy is planned for Tuesday. Ashley Greene Wants To Make You Scream! Twilight star Ashley Greene has been offered a role in the fourth installment of the slasher franchise Scream. According to sources at Empireonline.com, she is lined up to play Neve Campbell’s cousin, Jill, and will join Scream alumni Neve Campbell, Courtney Cox and David Arquette who are all signed on to reprise their former roles. Rory Culkin, Hayden Panettiere (Heroes) and Lake Bell (Shrek Forever After) have been rumored to costar in hopes to bring a fresh take on the series. We’ll keep you posted on release dates and further information! U2 frontman/megastar Bono underwent emergency back surgery Friday in Munich following an injury while preparing for the next leg of the bands “360 Degree” world tour, causing delays in tour dates. The US leg of the tour was planned to kick off on June 3 in Salt Lake City, which has already been postponed. Paul Guiness, the bands longtime manager, hinted that Bono’s injury could cause even more delays in the tour. A spokesperson for the 50 year old Ireland native said that the singer was admitted to a specialist neuro surgery unit in Munich Hospital. 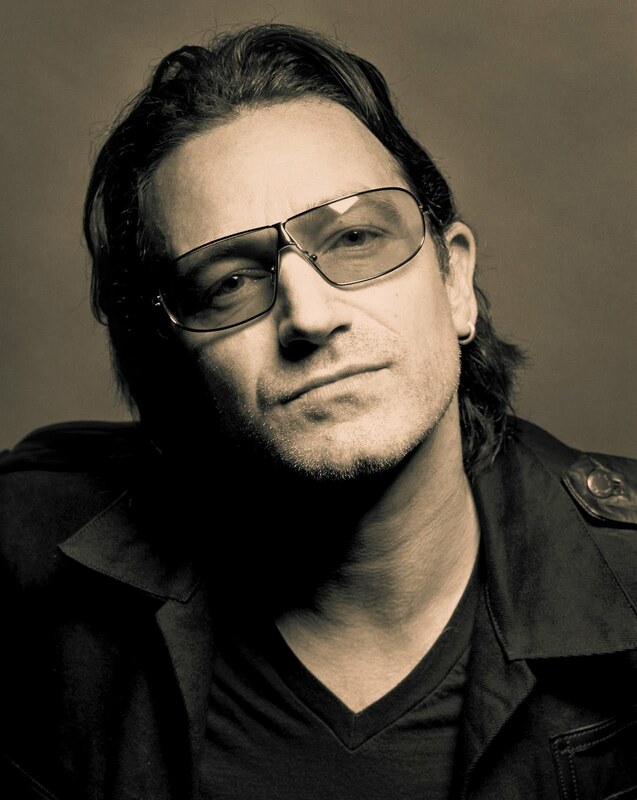 We just hope you feel better soon, Bono Vox.